Laurel County Schools Center for Innovation Principal Dr. James Davis, right, accepts a $750 donation to the center’s drone program from Jackson Energy. Presenting the donation are JEC Purchasing Agent and Center for Innovation Engineering Advisory Board Member Jim Ball, left, and JEC Chief Operations Officer Derrick Dean. Students at the Laurel County Schools Center for Innovation will be taking to the skies with a donation from Jackson Energy to the center’s new drone program. “Aerospace technology will provide new career opportunities for students in Kentucky,” says Jackson Energy Chief Operations Officer Derrick Dean. 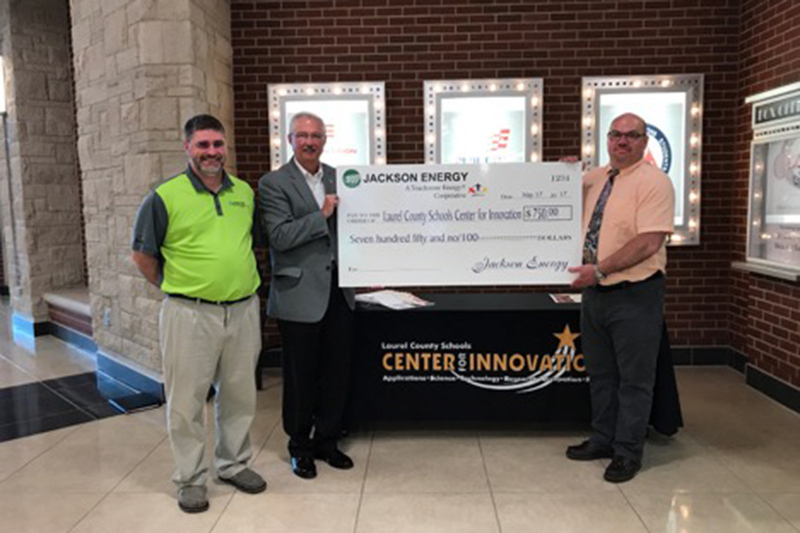 “Our donation will help launch a drone engineering program at the Center for Innovation and help students gain skills for a possible career in the aerospace industry.” Jackson Energy contributed $750 to the center, which plans to offer a drone program during the upcoming school year. Students will design, assemble, test and deploy a drone as they progress through the program. The aerial drone project will be called CJ1 in recognition of the Center for Innovation and Jackson Energy collaboration. “As we move forward with our Engineering Technology and Industrial Technology program into the third year, I believe we are positioning our Laurel County Schools Center for Innovation students well for remarkable opportunities in aerospace engineering,” says Center for Innovation Principal Dr. James Davis. 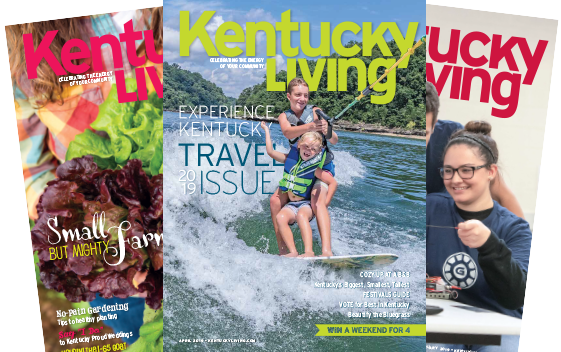 Aerospace and related industries are becoming an important sector in Kentucky’s economic portfolio, according to the Kentucky Economic Development Cabinet. In 2014, aerospace and aviation manufacturing became the leading export business in Kentucky. The project will not only benefit students at the Laurel County school, but also Jackson Energy. The deployment of an aerial drone will provide the electric cooperative an opportunity to explore the use of drones in conducting storm damage assessments in rugged terrain which may increase worker efficiency, lineman safety, and improve time to restore power to co-op members following storms.